Cravings: Hungry for More takes us further into Chrissy’s kitchen . . . and life. It’s a life of pancakes that remind you of blueberry pie, eating onion dip with your glam squad, banana bread that breaks the internet, and a little something called Pad Thai Carbonara. 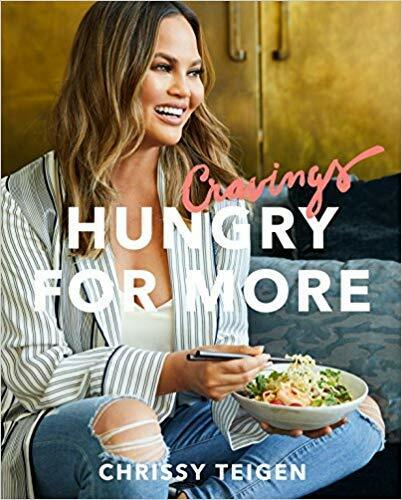 After two years of parenthood, falling in love with different flavors, and relearning the healing power of comfort food, this book is like Chrissy’s new edible diary: recipes for quick-as-a-snap meals; recipes for lighter, brighter, healthier-ish living; and recipes that, well, are gonna put you to bed, holding your belly. And it will have you hungry for more. Purchase Cravings: Hungry for More at Discounted Prices ✓ FREE DELIVERY possible on eligible purchases.